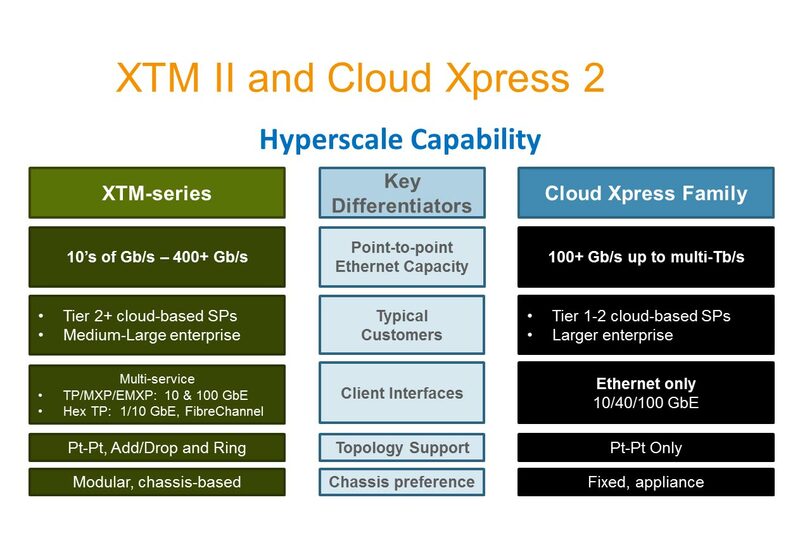 Introducing the XTM II and Cloud Xpress, a new breed of cloud scale metro-e platform for DWDM and Data Center Interconnect with low power, low latency and high density. 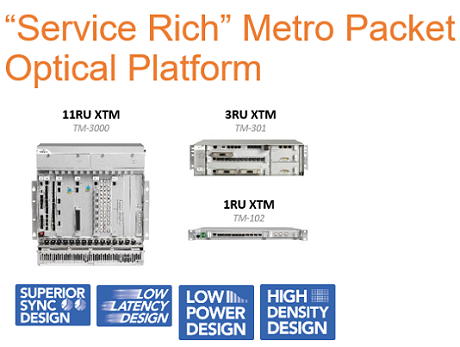 This platform is a significant technology advancement to help operators address a key challenge that exists today – bringing the scale needed to metro access and aggregation networks, and especially those with significant space and power constraints. DWDM is the technology of choice for transporting extremely large amounts of data traffic over metro or long distances in telecom networks.Infinera DWDM line systems have the capability to transport 128 channels (wavelengths) across the extended C-band channel spectrum over thousands of kilometers (typically 4000 km). 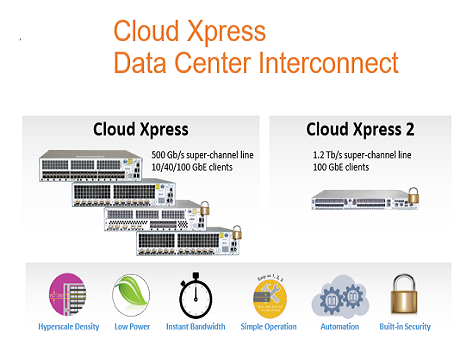 With core network traffic increasing at about 40 percent per year, service providers need a long-haul transmission technology that will deliver scalable, cost-effective capacity without compromising on optical reach.